We had a front row seat to the miracle of new life. 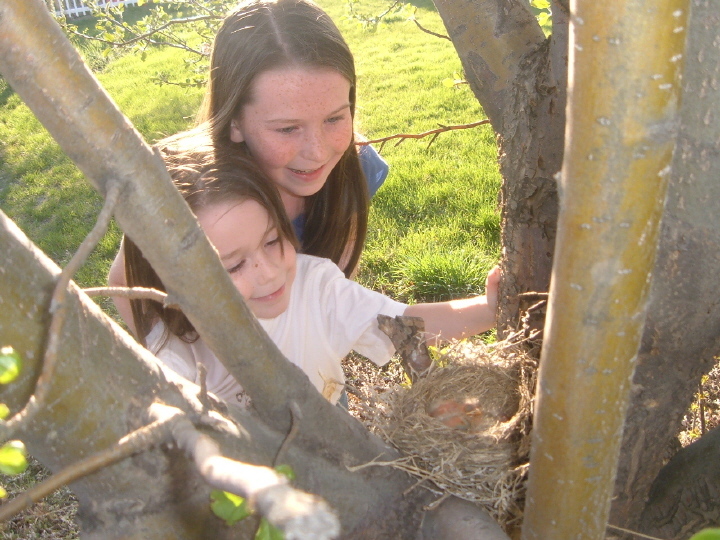 A pair of robins built their nest low in the branches of our apple tree. So low, in fact, that my three kids could peer right in, without even standing on tiptoes. Four beautiful, blue, perfectly formed eggs peered right back at them. And so the story began. I found myself strangely comforted by the sight of the mama bird perched so contentedly on that nest. Each morning I’d wake up and eagerly part my bedroom blinds for a look out at the apple tree. There she always sat, regardless of what our unpredictable Wyoming spring weather threw at her. Sun, rain, sleet, snow, hail, and the ever prevailing wind–she prevailed through it all. My oldest daughter got on the Internet and informed us that a robin’s egg incubates for 12-14 days. 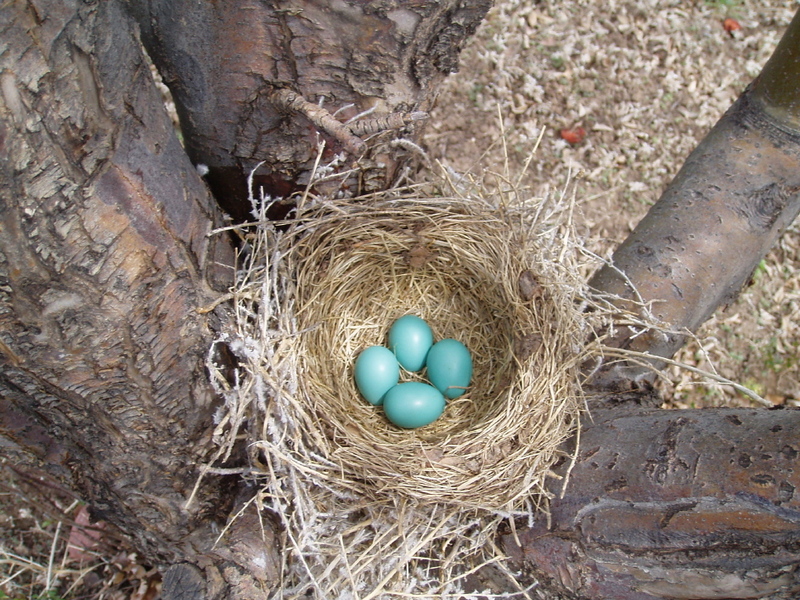 And sure enough, about two weeks later, we chased the robin off the nest long enough to note that three of the eggs had indeed hatched. In their place were tiny, hairless little creatures with faces only a mother robin could love. The remaining egg hatched a day or so later. Soon all we could see were four golden beaks, pointing up like sharpened pencils, when their mother returned to the nest with dinner. Within a few days we could also hear those noisy beaks as they celebrated the timely arrival of a juicy worm or some other succulent morsel. 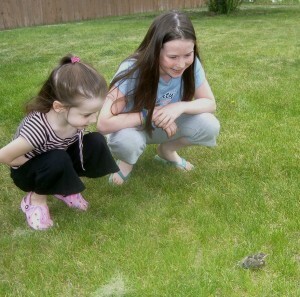 We human mothers have more in common with our feathered friends than you might think. After all, we say an expectant mom is “nesting” when she compulsively cleans right before her due date. And how do we refer to the home when the last child leaves? 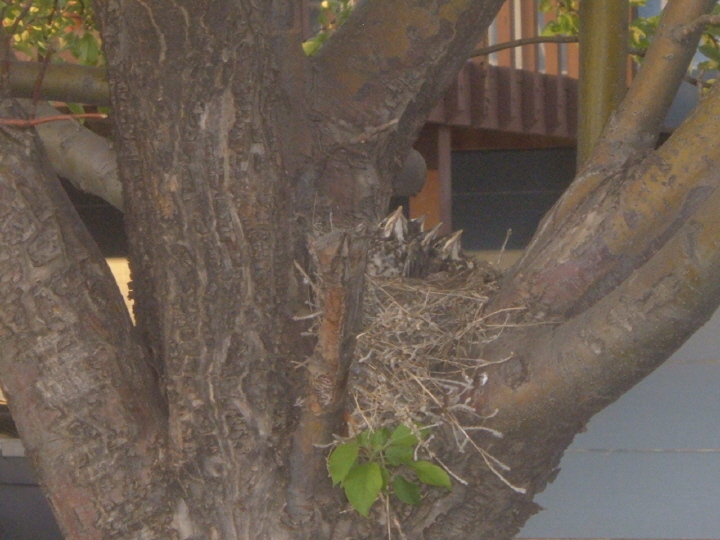 It’s an “empty nest!” The Bible also frequently uses the imagery of a bird and its young to illustrate God’s special relationship with His children. 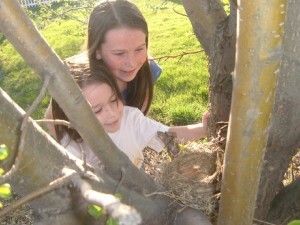 As the drama surrounding the busy nest in our backyard unfolded, I realized I had been granted a privileged spot in a unique classroom. A humble robin may be an unusual and unlikely mentor. But as I sat under her able instruction, I watched…and learned. 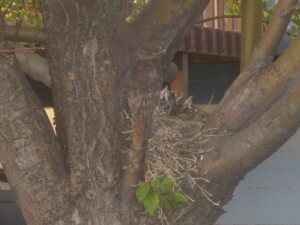 The mother robin was a picture of serenity as she rested sedately on her nest. I was attracted to her quiet dignity as she faithfully fulfilled the purpose for which God had created her. She almost seemed to be holding her head high, proud of her noble calling. The robin instinctively knows her place and purpose in the world. But you and I need to be reminded that giving birth to and nurturing LIFE is an unparalleled honor given to us by God. What could be more significant? Mothering matters! It is a reflection of the heart and nature of our Creator. 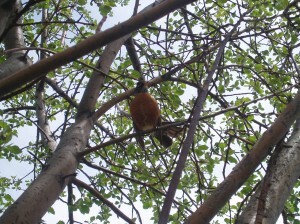 Like the robin, we can experience peace and contentment, knowing we are in the very center of God’s will. Before the eggs hatched, the robin spent most of her time sitting on the nest. She would occasionally leave its perimeters in search of a snack or a quick shower in the sprinkler, but she never traveled far and always returned quickly. 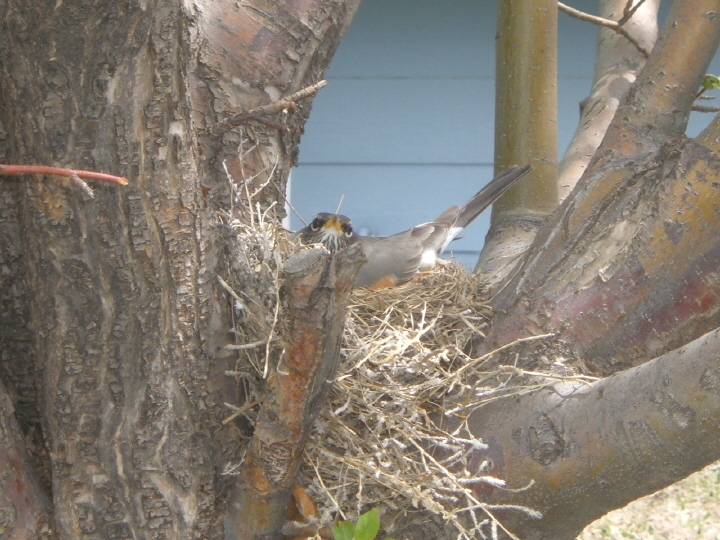 Several times we ventured out into the yard to sneak a peek at the nest when it appeared to be unoccupied. Each time we were surprised to find that she hadn’t abandoned her post at all, but was somewhere in the grass or branches within earshot and eyesight. When our children are young and vulnerable, they need the comfort of our presence and the assurance that we are never far away. We may at times, out of necessity, need to leave the nest. (Time away to preserve one’s sanity is also a necessity!) But stay as close as you possibly can and return as quickly as you can. One of the qualities I appreciate most about my heavenly Father is the fact that He is always near, keeping a watchful eye on His beloved children. Deuteronomy 32:11a describes God this way: “Like an eagle that stirs up its nest, that hovers over its young…” And Psalm 73:28, one of my all-time favorites, states that: “The nearness of God is my good.” Let your nearness be the good of your children as well. Lesson #3: It’s hard work. After the eggs hatched, the robin no longer had the luxury of putting her feet up on the sides of a quiet nest. She spent most of her time then flying tirelessly back and forth across the yard, gathering food and dropping it into four hungry mouths. As soon as the quadruplets caught even a glimpse of her in the tree branches they would sit up and start squawking for more. Once they were satisfied, she would wiggle her red breast and then plop it right down on top of them, as if to say, “It’s nap time!” Surely, it was she who needed the nap! Parenting small children can often feel like we’re rowing on an endless sea of needs. I remember many times pulling our van into the driveway with a crying baby needing to be fed, a whining toddler needing attention, melting groceries needing to be put away, not to mention my own full bladder needing to be emptied…trying to decide which of those needs to meet first! Often we moms feel like we’re last in line and wonder with a sigh, Who is going to meet my needs–and when? Listen to what God says to you in His Word. “Look at the birds of the air, that they do not sow, nor reap nor gather into barns, and yet your heavenly Father feeds them. Are you not worth much more than they?” (Matthew 6:26) In Philippians 4:19 He promises that He “…shall supply all your needs…” ! You matter to Him! You don’t have to wait in line for Him to wait on you. When you look to Him to care for your needs, you will be filled up to care for the many needs of your family. Lesson #4: It’s a battle. The first time we approached the robin’s nest she flew off, frightened. As time went on she grew bolder in her protection of her eggs and later of her babies. Once she even chased my scared kids all the way up the stairs of our wooden deck and back into the house as she chirped loudly and flew at them aggressively. We too need to be bold and vigilant in protecting our young. Dangers lurk everywhere–from oncoming traffic to Internet predators and everything in between. The Bible says there are also three enemies of our souls: the world, Satan, and our flesh. These threats may seem less obvious but the spiritual danger is just as real. It wasn’t many weeks before the quads were tumbling out of the nest and testing out their own new wings. One night, not long after they had flown the coop, my husband and I relaxed outside on our porch swing, enjoying the cool and calm of the May evening. Against the backdrop of a colorful sunset, silhouetted on the fence, we spied the pair of robins. None of the baby robins were in view, but there the parents were–still together, a team, lifelong companions. It is no secret that half of all marriages today don’t make it. Many don’t weather the storms and stresses of the child raising years well. Some of my sweet single mom friends can attest to this painful reality firsthand. Around here the First Day of Spring is just a date on a calendar. No daffodil or robin sightings in these parts yet. The hills are still clothed in muted shades of brown and the branches hang as bare as empty closet rods. The First Day of Spring could be more aptly named The 91st Day of Winter. I must be a skeptic at heart, because every year about this time I catch myself wondering if spring will really come. Everything just looks so dead, dry, lifeless. 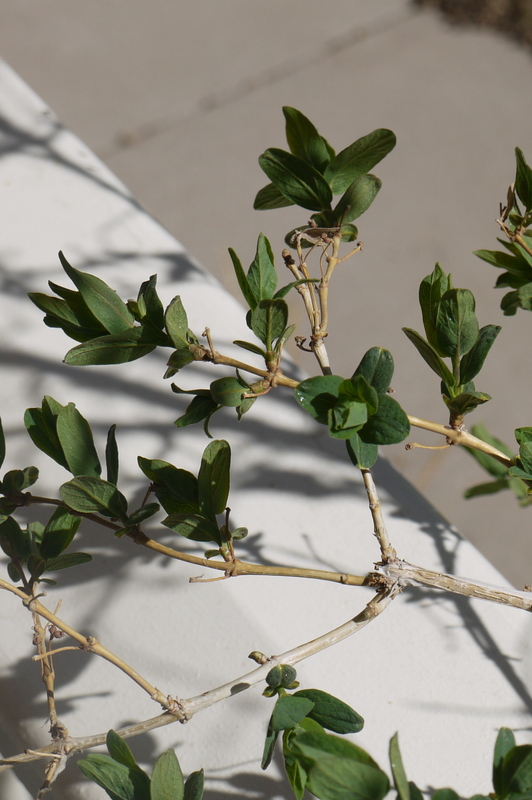 How is it possible to transform this barren landscape into something vibrant and alive? When spring tarries, doubt multiplies. I’m like this in life too. I scan the horizon and see bleak situations. Cold hearts. Lifeless marriages. And I wonder. How? Is it even possible, Lord? Then a bud appears. And another. The grand green carpet is rolled out once again. Spring shows up, surprising us, delighting us. Miracles do happen. I’ve seen circumstances reversed. Prodigals returned. Health restored. Marriages revived. God shows up, surprising us, delighting us. So why do I doubt when He tarries? What if we really knew this great God of ours and what He is capable of? What if we truly believed that He is faithful and His Word is sure? I bet we’d hold on. Press on. Hope on. For winter never lasts forever. Spring will come! Spring has come early to Wyoming this year. And I honestly haven’t known what on earth to do with it. I can still vividly recall our first Wyoming spring 16 years ago. The one I longed for and thought would never arrive. It was May, and the trees were still leafless silhouettes, the kids’ small frames still padded with winter coats. I inoculated myself against Spring Fever that year. When newcomers to this part of the country express their desire for spring in February, I just shake my head knowingly. Winters are long in Wyoming. April IS the snowiest month here, after all. Give them a year or two of disappointment and they’ll learn. Too many early winters and late springs can make one a bit jaded. Spring can be quite the tease. When she sauntered into town the first week of March, I stoically ignored her flirtations, keeping my snow boots and sweaters close at hand. But for once she actually stuck around. After nearly a month of disbelief, I’ve finally been coaxed out of hibernation, reluctantly persuaded by her persistent peace offerings of greening grass, budding trees, and glorious sunshine. Life can be disappointing. We try to shield ourselves from hurt, wrapping our hearts in bulky layers to protect them from the bitter chill of unfulfilled desires. “Fool me once, shame on you; fool me twice, shame on me,” becomes our unspoken mantra of distrust. 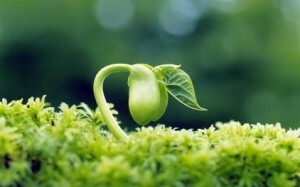 But what we sacrifice in the process is a sense of expectancy and hope. The heart that suppresses its longings, to guard itself from disappointment, becomes deadened, cold. Like the winter snow pack, it, too, needs to thaw. Let’s not become so jaded by past disappointments that we are numb to life’s surprises. Let’s not become so distrustful that we are unable to embrace God’s unexpected gifts. Let’s fling the door open, venture outside and experience the new things that He has for us. Because sometimes…spring comes early. Even in Wyoming. The trees by our porch!